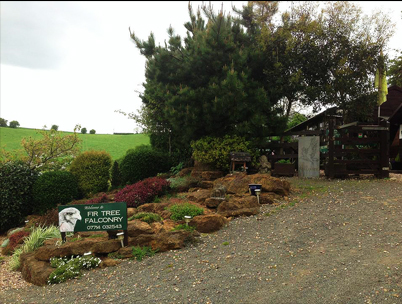 Welcome to the Fir Tree Falconry Website! Fir Tree Falconry is a well established falconry located in a spectacular valley north of Banbury on the Warwickshire/Oxfordshire border. After being involved in the world of falconry for a number of years Dian has a wealth of experience to pass on to you whether it’s a flying display, owl evening, educational visit, falconry experience, a course or what ever your requirements you can be assured of a personal professional service. We have an impressive private collection of birds of prey which will captivate any generation, the flying displays show the natural behaviour of these magnificent creatures from Deano the great grey owl, to Kasper the kestrel to name just a few. At fir tree we specialize in static displays so whether its a fete, show, or special event we can assure you of a spectacular show. We can bring a selection of owls, hawks and falcons to your event so guests can get up close and personal and have the opportunity to take photos and handle a variety of our birds. Fir Tree falconry also provides a competitively priced 7 day pest management service for domestic, commercial and agricultural customers, dealing in the removal and prevention of wasps, rodents, squirrels, moles, birds and rabbits.